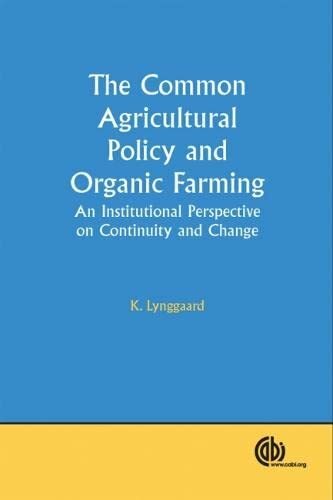 Synopsis: The Common Agricultural Policy and Organic Farming covers how ideational change came about to enhance the understanding of change within the Common Agricultural Policy (CAP) and to plan and implement change in European agriculture policy. The contents cover institutional change within the CAP and focus on the institutional construction policy concerned with organic farming. About the Author&colon; K. Lynggaard, Department for Social Sciences, Roskilde University.